At Central Baptist, we prepare students to accomplish all God has purposed for them with the help of parents and the community around us. As soon as you step on our campus, you can see God's love all around. Students are provided spiritual and academic training that will enable them to pursue God's calling for their life through the power of Christ. Click here to read more about CBCS' curriculum and affiliations. Many fine arts and elective options are made available to our students. We offer Spanish, Music, Art, Computer, Library, Drama, Band, Chorus, and Physical Education. Professional plays are brought in for the students’ enjoyment. The students themselves demonstrate their talents in musicals and dramas. Private musical lessons are also popular for many of our talented students. CBCS offers Karate and Gymnastics. We also have a mini-sports program after school for 1st-5th grade. The focus is to teach basic skills of team sports in a Christian atmosphere. Our Varsity and JV teams participate in the B-CAL league and High School leagues. And compete very successfully in seven different sports. We are encouraged by our talented cheerleading squad. Visit our athletics page here. 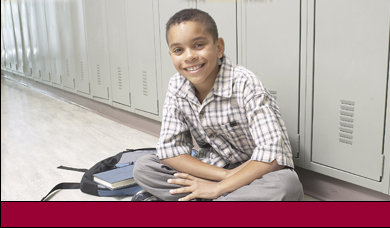 Our before and after school program provides a safe and loving environment that our students enjoy being a part of. The staff is qualified and eager to encourage and support the students to be their best. The adult-to-student ratio is low to ensure adequate supervision. Computer after school daycare is available for students to do computer related homework, current events, research and extra credit math .